So, you have chosen to dive into the world of value spotting scopes and are looking for advice on how to decide what's best for you? We are going to break it down and stack up the competition. These aren’t just cheap spotting scopes, these are the best budget spotting scopes out there! If you are willing to look around and take some time, you can find an affordable spotting scope that has all the features you are looking for or at least all the features that you really need. When you start shopping on a budget, there are always compromises but we can keep those to a minimum and guide you toward choosing a quality scope within your budget. If you want the best of the best you can always spend more but if you the thrifty type that wants to meet their needs without spending a fortune, there are scopes comfortably within most people’s price range. Feel free to move up to the $500.00+ scopes, they are your best bang for your buck but you will need a lot more of those bucks to spend. So, if your price point is low and your expectations are high, let us guide you through the features and specifications of what to expect for a spotting scope and your range and what they mean to you. Take a look at some of the best scopes out there that we have found and exactly how good they are. Whether you are looking for a budget bird watching scope or a specific spotting scope for hunting, we have something for you! Why Should I Choose a Budget Spotting Scope? The key reason that people choose a budget scope is due to limited budget and that's fine. Spending over a grand on an item that you will rarely use may be excessive and wasteful. You will have to make some compromises to get the scope that serves your needs best but not as many as you think. We have done our best to select companies that have solid reputations and a history of making optics. Knowledge of craftsmanship goes a long way in this industry. Whether you are looking for a budget spotting scope for digiscoping or more of a tactical spotting scope, there are offerings here that will take care of you. If you select a spotting scope in this price range, you are going to have to play a little give and take. Considering your options before you purchase is the best advice. Read and do your research because the difference between a decent inexpensive spotting scope and utter crap is very small and sometimes hard to see. When purchasing a budget spotting scope, the features and quality can swing wildly across the spectrum from bad to great. Knowing what features are important to you and what you can live without is vital to making a choice you are happy with. Narrowing down the details of the scopes you are looking at is the first step toward a good decision. When looking at scopes, you will see a designation 20x65mm or 18-45x65mm. In this case, we are looking for the numbers before the x which denote the magnification of the scope. If the number is a single number like the 20 it is a fixed power scope. If the number is hyphenated like the 18-45 it is a variable power scope. All other considerations equal, a variable scope is more versatile but a fixed power scope will have a slightly better image. Budget scopes can swing wildly from a max power in the 30s to over a hundred but most still fall between 45 and 60. Spotting scopes for target shooting will benefit from more magnification. The second number in our examples represents the size of the objective lens. The larger the lens the brighter the scope's image will be. A larger objective lens will make the scope more useful in low light conditions but can also cause some washout if conditions are very bright. The example above would be a 65mm spotting scope. A large objective lens will have a larger field of view allowing you to see a broader image. The four types of coating in are: Coated, Fully Coated, Multi-Coated, Fully Multi-Coated. While these go up in price from the first to last, they also go up significantly in quality. Very few budget scopes will be fully multi-coated but you will likely find scopes from uncoated all the way to fully coated. There are two styles of bodies available on a spotting scope that specifically deal with the orientation of the eyepiece. The type you choose will determine how easy the scope is to use for different purposes. A straight scope is great for a handheld option but using one from a shooting bench can be more difficult but not as difficult as using an angled scope as a handheld option. Most compact spotting scopes are straight bodied to save on size. Budgetscopes can have an eye relief too low for comfortable use withglasses all the way up to 20mm or more. If you wear glasses beaware of the eye relief on the scopes you are considering. The first layer of protection on a scope is a rubberized armor that serves the dual purpose of keeping the weather out and preventing damage to the scope from bumps and dings. Some scopes will also be nitrogen or argon-purged to prevent fogging or condensation. Some budget scopes will have full weather protection and some will have none. If you never plan to have your scope in the elements or it will see only light use, no weather protection isn’t a big deal but if you want a spotting scope for hunting, weather protection is important. Bushnell may have never been known as an industry leader in the optics market but they have always produced solid products for reasonable prices. Their Trophy line is no exception to the rule and often lands itself on top ten lists overall. There is no doubt about the quality and the price is unbeatable! This particular scope has plenty of magnification for whatever your needs but was designed for as a shooting and hunting spotting scope and could be the best budget spotting scope for target shooting on the market. If you are looking for a scope to reach to the farthest distances without breaking the bank, this is one of the best deals on spotting scopes you will find. With its large objective lens and quality fully coated glass. The scope is bright and clear. Far more clear than most other scopes in its price range and brighter than the competition to boot. Even for a scope that maxes out at 60 power, the images are still clear as crystal if you want just about the best long range scope for the money, this is it! Far more than clear, the Trophy XLT is also rugged and will serve you well no matter your environment with its ruggedized outer shell and fully waterproofed interior. You can give this thing a dunk in the creek and it will still come out clear and free of fog. After 50 years of experience in the optics market, Bushnell has the experience to create a real winner! Redfield optics, specifically the Redfield Rampage spotting scope, have been making waves recently in the shooting community and have been featured in a number of big name publications including Field and Stream an American Rifleman. At the higher end of the budget lineup, it's easy to see why. This particular Redfield spotting scope has definitely taken its place among the best price friendly long range spotting scopes. Variable from 20 to 60 power and with a massive 80mm objective lens, you almost can’t beat the view from this scope, even out at 600+ yards. Sure, there is better glass on the market but so few combine it with the power and brightness to really take advantage of it. If you top that off with true multi-coated optics on every surface, how can you not blow the competition away? For optical clarity, even in the brightest glare, the Rampage does an amazing job. It's even nitrogen purged to keep off fog and condensation. Of course, where would a scope be if not for some ruggedness to keep it going? This may not be the most compact spotting scope for hunting but it will excel in the field regardless. It is fully water and fog proof with a durable rubberized armor that keeps the weather out and prevents any little nicks or dings. This is a solid scope at a price that is hard to beat. Barska may not have a stellar reputation in the optics market. Their scopes aren’t known to be the most rugged and durable and their glass could use a little refinement. The one thing they always seem to do right is power and believe me, this is the most powerful spotting scope for the money and then some. Their glass may not be superb but it is clear enough and fully coated to protect you from glare and keep the lenses relatively free of fog. Add that to the massive 90mm objective lens and the scope is amazingly bright and with a field of view like no other. The glass may not be the best but this Barska spotting scope will do wonders at getting you on far targets. Of course, you have to consider the main selling point for this brand, magnification. Pure power! There is nothing on the market with this much power anywhere near this price and especially on a spotting scope under 200 bucks. That's why it needs that huge objective lens. The Barska may not be a tank but with some fair treatment, it will last you for years and at a price you can afford to replace it when you do wear it out. With gentle use on calmer hobbies, it can last a lifetime. Used for something like birding, this could easily be a good spotting scope for 500 yards or more that you can pass on to your kids. If you didn’t come here for hunting but are instead looking for a great spotting scope for digiscoping, boy have you found it. While this is a solid spotting scope for shooting if that's what you want, it really excels when you stick a camera on it and comes pre-fitted with that in mind. So, what makes a scope good for digiscoping? Well, the glass has to be the best possible quality and the scope has to be plenty bright. That is where the amazing multi-coated glass and huge 80mm objective lens comes in. You won’t have to worry about light transfer or glare with this scope ever. It’s also a very powerful scope pushing out a max of 60x magnification to get you way out there for the best pictures (or shots) you could imagine. This is no slouch despite its budget price. Celestron has made telescopes for years and they know a thing or two about glass. So, what if you wanted to use the Celestron 80mm Ultima zoom spotting scope for something other than digiscoping and I don’t mean as a spotting scopes for birding. Could you take it hunting and hit the fields in harsh weather? Sure can! It may not be the toughest scope in the world but it is fully waterproof and ready for the field. 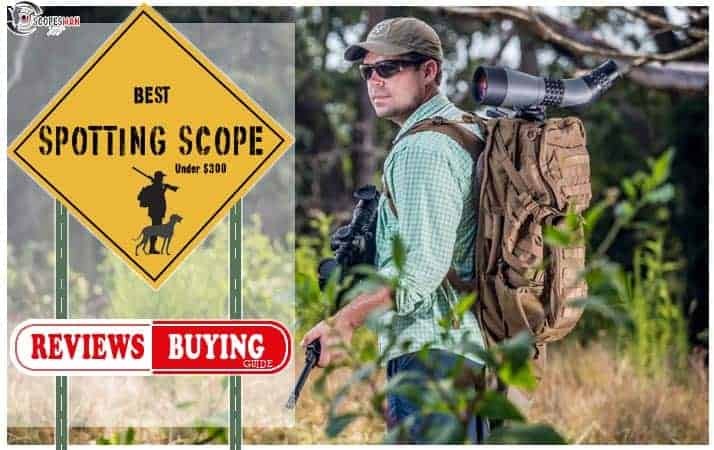 If you arelooking for a full featured scope with everything you could need,Emarth will fit like a glove and for a price that is hard to believebut with their surging popularity, people are taking notice.Apparently, they are a great spottingscope for birding on a budgetbut should serve you well no matter your intended use. Forthe price, you get good quality glass, probably better than otherscopes in this price range. Glass that is surprisingly good for anybudget spotting scope. Most of the specs are pretty standardfor a spotting scope, 60x power with an adequately sized 60mmobjective lens. Nothing too shocking. Whatis shocking is that the lenses are all fully multi-coated which ispractically unheard of on a scope at this price. And not just somecheap multi-coat either but the quality stuff that brightens up thescope and gives you great clarity even in low light. Good,solid stuff! Speakingof solid, I may have given you the idea that this is a spotting scopefor ocean viewing and other relaxing hobbies, and it is. But itis also a solid scope that is tough, fog proof, waterproof, and readyto be taken into the field for whatever it is you do. Don’tignore this scope because it caters to the softer market, it is stilla durable tool. This isn’t a great scope in the range of scopes we have here but if you want a usable spotting scope under 100 bucks, well under in this case, Roxant is about the best on the market with a ton of features and good power to boot. Lacking full waterproofing and with a less than optimal rubberized coating, there can be some issues with dents and dings and you may not want to take I out in a rain storm. That said, I know people that have chosen this spotting scope for target shooting and used it extensively with no issues. It’s all in how you treat it. Once you get past the durability issue, this turns into an all-around decent scope. The high magnification and sizable objective lens lend well to distance shooting making this dollar for dollar the best long range spotting scope for the money as far as the glass goes. And for the price, you are also going to get quality multi-coated glass which is almost unheard of. Despite the price, this is a bright and airy scope with a great field of view clarity to pick out details at huge distances. If you expect this to be like the military spotting scopes, you will be disappointed but if you take it for the budget model it is, it will serve you better than most for the price. In the ever-growing market of budget spotting scopes, there are hundreds available. Of those, only a few are really worth owning with the rest falling into a category a little higher than junk. As long as you are cautious, you can get by with a budget scope but if you want security you can always opt to get one that is costlier. That still doesn’t guarantee quality unless you invest three grand to get one of Swarovski spotting scopes. For the price, the above scopes should do whatever task you need, be that a budget spotting scope for birding or a more powerful spotting scope for long range shooting. You would be surprised the number of scopes like this that have been used for decades on end at shooting ranges across the country. If you are willing to treat them with care and use them correctly, they can last a lifetime! Eric grew up hunting, fishing, and roaming the hills of the Easter U.S. and has dedicated himself to becoming a well-rounded outdoorsman. Anytime there is an opportunity for a little fishing or a morning spent hunting, you will find him in the woods. In his off time, he teaches a variety of outdoor skills including land navigation and basic survival. Recently a Search and Rescue member, he has begun learning the ancient art of human tracking in a variety of terrains.